Orleans Elementary is a small community school located in the rural Northeast Kingdom of Vermont. We serve approximately one hundred Kindergarten through eighth grade students from our small village and nearby Westmore. We are part of the Orleans Central Supervisory Union, an educational system made up of seven local school districts. Six area elementary schools from those towns all feed into Lake Region Union High School for the students’ secondary education. Our school community has high academic expectations for all students and we provide a variety of supports to help them succeed as independent confident learners. Our programs are also designed to help all students become good citizens within the school and outside communities. We work to create an interesting learning environment where students are encouraged to take responsibility and to challenge themselves. We welcome all parents and community members as partners in this important work on behalf of all children. ​Orleans Elementary School is a community dedicated to fostering every individual’s pathway to success. We provide a safe, supportive environment that challenges each one of us to reach our full potential. We encourage collaboration, curiosity, service to others, and a life-long passion for learning. The building that houses Orleans Elementary School was originally Orleans High School (OHS), built in 1922, with the elementary school located down the street on the lot currently occupied by the Orleans Federated Church. 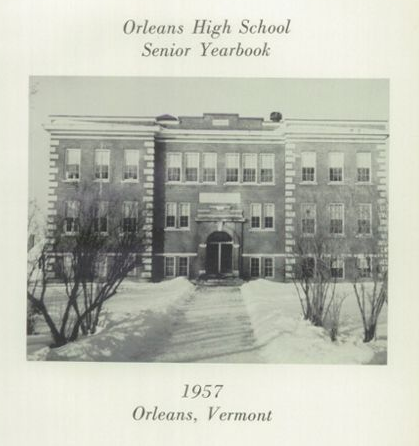 In 1967, OHS closed to be replaced by Lake Region Union High School to serve students from multiple communities, with the elementary school relocating to the OHS building. Orleans Elementary School expanded in the summer of 1991 to add on a new gymnasium, cafeteria, and library, as well as well renovating and expanding classrooms. Since then, the community had dedicated itself to maintaining the historical, small-town feel of the school while also investing in modern technologies, cleaner energy, and updated facility needs to provide our students with a wholesome yet modern environment to thrive in. Over the years, many students have come through the doors of Orleans Elementary Schools. Students have found success through a variety of venues (academics, athletics, community service and civic duty), and we are always glad to learn of their lifelong celebrations.